Are you looking for a PC fix it and computer services in Sydney? We provide a complete computer and laptop repair service centre solution in Sydney 7 days. If you require PC fix it computer services we can assist with all brands and models from windows errors to complete system failures. Call us today on (02) 9698-9644 and let us know how we can help you today. Our highly trained technicians have spent years working on all types of computers, laptop, and mobile IT devices. 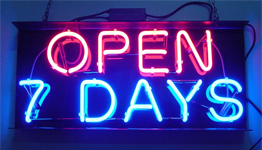 Call our service centre 7 days on (02) 9698-9644 and let us know how we can help you today. View our full contact and opening time details on our Contact Us page and you can also book online or complete an online enquiry form.